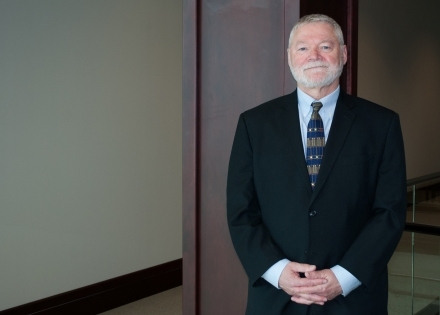 HoganWillig Attorneys at Law is pleased to announce that former Erie County Judge, Paul Buchanan joined the firm as Special Counsel. As an Erie County Family Court Judge elected to office in 2004, Judge Buchanan created and presided over a Juvenile Justice Part. In this capacity, most Erie County petitions for Juvenile Delinquency, Persons in Need of Supervision and Educational Neglect were assigned to his court. A Juvenile Substance Abuse Treatment Court was also operated. Cases concerning Family Abuse, Neglect, Custody, Domestic Violence and Support were also adjudicated. In conjunction with the National Council of Juvenile and Family Court Judges [NCJFCJ] he operated one of 8 National Juvenile Delinquency Model Courts, which employed Juvenile Justice Guidelines promulgated by NCJFCJ and the United States Department of Justice. These Best Practices resulted in successfully diverting youth from entering or further penetrating the juvenile justice system. Families got better outcomes at less cost. Various articles were published concerning this project, including a peer reviewed statistical analysis. As a member of the New York State Family Court Advisory and Rules Committee, he reviewed pending legislative proposals and recommended Family Court Legislation and Practices. Through the Committee he was a Co-Convener of a New York State Roundtable Conference on the Educational Barriers to Youth in Foster Care. Judge Buchanan has presented at National, State and Local organizations on topics of Juvenile Justice Reform and Family Law. He sponsored interns from the SUNYAB School of Law in the JD/MSW program, giving law students hands on experience in family law issues, practice and procedure. Presently, Paul Buchanan is in private practice and is a Judicial Hearing Officer for the Family Courts of the Eighth Judicial District. He is also certified as a Judiciary Law Article 21-A Mediator for the Center for Resolution and Justice, Community Dispute Resolution Center. Through the Volunteer Lawyers Project of the Erie County Bar Association he is involved in operating free legal clinics through the Say Yes to Education program in the Buffalo School District. Paul Buchanan also volunteers legal services at GLYSS [Gay and Lesbian Youth Support Services] and for the local Transgender Community. As former President of the elected Buffalo Board of Education, he employed his legal and financial skills in a number of major accomplishments, and crisis management situations. The Joint School Construction Board was created, which invested $1.2 Billion in school infrastructure over 10 years. Litigation resulting in a $100+ million judgment in favor the teachers’ union was resolved. A teachers’ strike was settled and a new contract approved. The September 11, 2001 terrorist attack occurred during the school year and all public spending in New York State was immediately reduced, resulting in major disruptions. Educational and management reforms were also begun in cooperation with the National Council of Great City Schools. While a Confidential Law Clerk to a NYS Supreme Court Justice he engaged in complex civil litigation and jury trials of commercial, personal injury, contract, matrimonial, governmental and other cases. Extensive legal research, writing, and analysis in addition to conducting settlement conferences was required. As Deputy Comptroller of the City of Buffalo, he had management responsibility of municipal financial functions such as payroll, accounts payable and receivable, contract compliance and internal audit. He assisted in financial analysis and proposals presented to Wall Street ratings agencies. Judge Buchanan received his J.D. from SUNY at Buffalo Law School, his M.B.A from SUNY at Buffalo School of Management, and a graduate certificate from Harvard University Kennedy School of Management in State and Local Government.